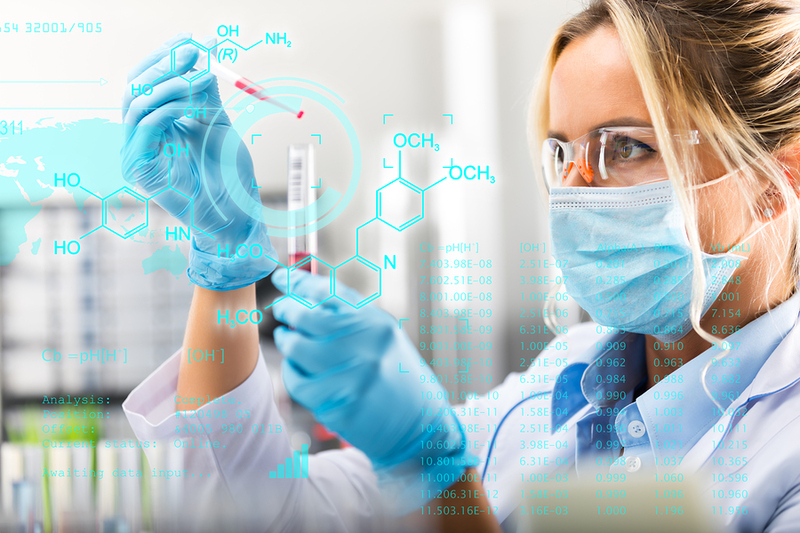 The search for new biological targets, assessment of the toxicity of molecules for medicines, optimization of clinical trial procedures, the innovative path towards personalized medicine… Here is a small glimpse of the potential for artificial intelligence in the pharmaceutical sector, in full growth right here in Canada. DNA alone contains 100 million base pairs. Elements, organs and molecules of the human body – and their many interactions – are still partly a mystery, as are its pathologies, which are in continuous transformation. Of the entire bank of existing and potential chemical entities, which molecule would work on a particular biological target to improve the patient’s state of health? The pharmaceutical sector has to process, analyze, test, interpret and generate an astronomical quantity of data. Since artificial intelligence literally feeds on it to continuously refine its learning in ever more accurate algorithms, its contribution is valuable in an industry that has a downright vital role in society. Before a drug can be offered to a patient, it has to go through a research and development process that takes months or years… and that’s in the best cases! “In pharmaceutical research, the failure rate can be estimated at close to 99%,” says Frank Béraud, president and CEO of Montreal In Vivo, a non-profit economic development organization that aims to create a business environment conducive to innovation and development of public and private organizations of the life sciences and health technologies sector. However, artificial intelligence not only lets research be better oriented, increasing in advance its chance of success, but also to use the essential trial and error method in a virtual scenario in an instant, at lower cost, without collateral damage. It is simple and includes the benefits of a smart application that is able to test the toxicity of a molecule before administering it to a patient! Once the drug is on the market, adaptive learning technology also improves its use context. To be effective, the (right) drug must after all be administered to the right person in the right way. Personalized medicine has nothing to do with a fashionable marketing concept! “Artificial intelligence is a valuable tool for experimentation and decision support for health care professionals,” sums up Frank Béraud. When Will Medical Cannabis Be in Pharmacies?